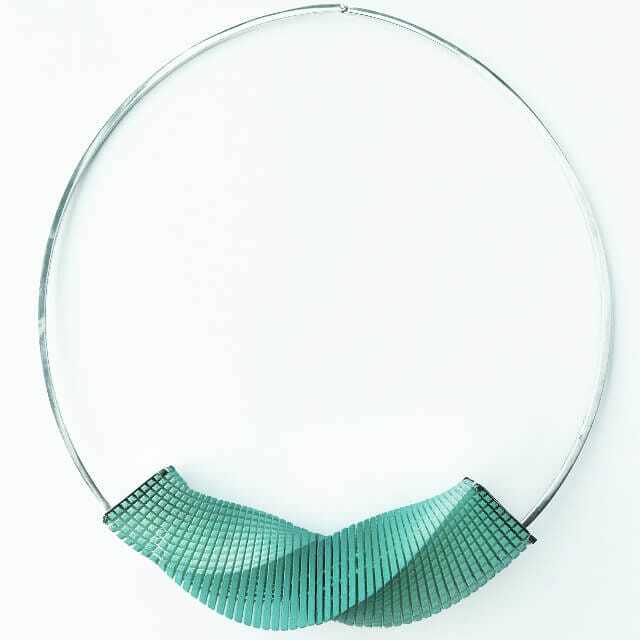 Statement necklace in brightly polished silver and soft gradient turquoise green 3D print, with a hidden magnetic clasp in the middle. The design for this necklace was inspired by an idea of organised chaos. 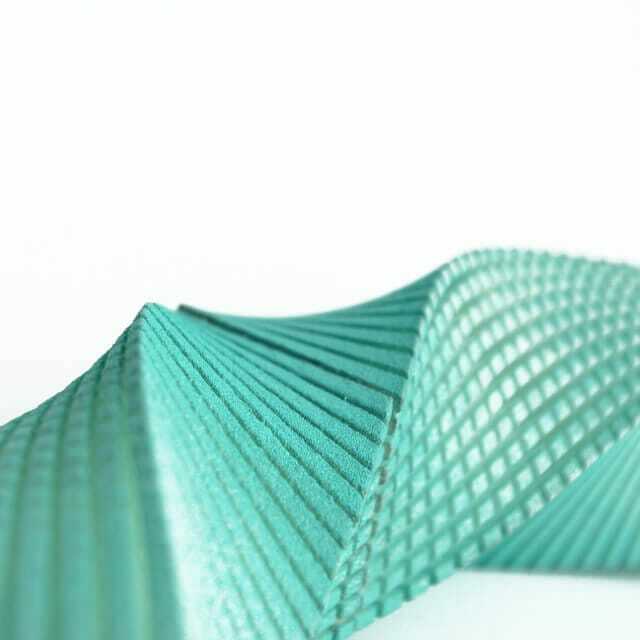 Colliding together in a perfect harmony, the 3D printed part of the piece represents a balance between smooth organic flow and organised geometric precision. This statement necklace in brightly polished silver and soft gradient turquoise green 3D print has a hidden magnetic clasp in the middle.